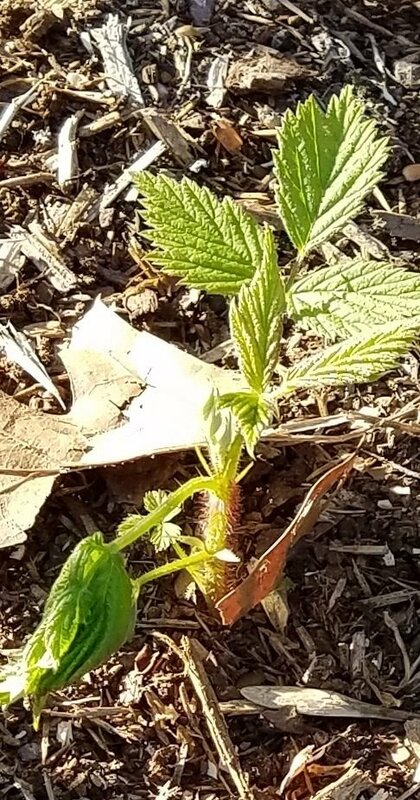 I'm making progress on the vegetable garden but this is a quick post about some raspberries I planted last year. We're getting blossoms! 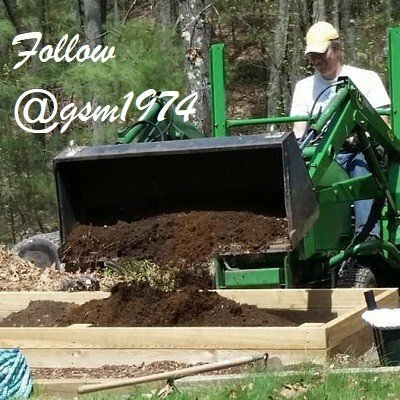 I've still got tons of landscaping and tree clearing to do in the area but I wanted to get these plants established so they could get started. Raspberries are 'Heritage' variety which means two crops per year. The first crop will start ripening in June and comes from last year's stalks. Each stalk gets two crops of berries. 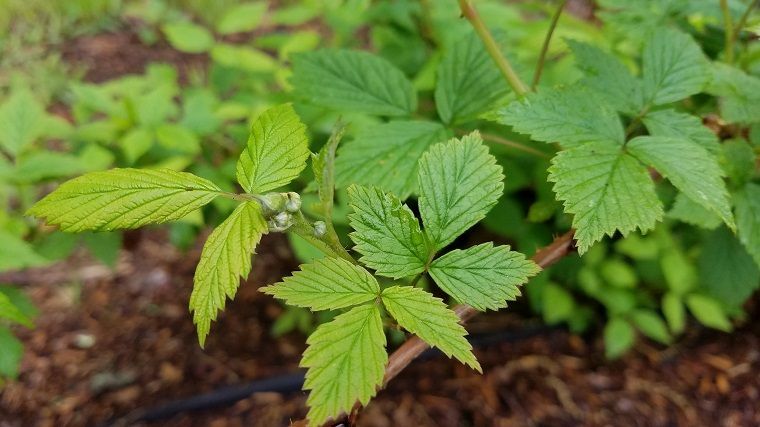 New shoots come up each spring and these will bear their first crop of berries in the fall and will continue producing berries right up to a hard freeze. Then next spring they will produce the berries that we'll get in June. After producing the second crop of berries the stalks will die back and can be cut out of the plant. 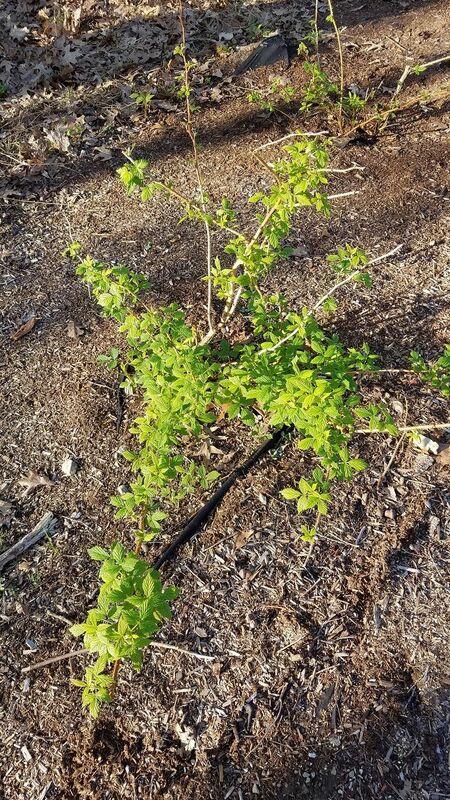 You can see the old stalks budding out pre-pruning in the image below. And my water scarecrow is already hard at work keeping critters away from the gardens. I'll post an update on this neat device with some action video soon!